للمسافرين الذين يرغبون أن يعيشوا كل ما تقدمه المدينة، Skotel Alpine Resort هو الخيار الأمثل. يمكن من هنا للضيوف الاستمتاع بسهولة الوصول إلى كل ما تقدمه هذه المدينة النابضة بالحياة. يضفي محيط الفندق اللطيف وقربه من أكثر المعالم السياحية جذبًا سحرًا خاصًا على هذا الفندق. كما يقدم Skotel Alpine Resort الكثير من الخدمات لإغناء رحلتك في المدينة. يمكن لضيوف الفندق الاستمتاع بالميزات التالية على أرض الفندق: مرافق مخصصة لذوي الاحتياجات الخاصة, تخزين الأمتعة, واي فاي في المناطق العامة, صف السيارات, غرفة عائلية. لقد جهزت هذه الإقامة الفندقية بعناية فائقة لتوفر مستوى عالي من الراحة. في بعض الغرف يجد النزيل اتصال لاسلكي بالإنترنت, غرف لغير المدخنين, تدفئة, مكتب, شرفة/ تراس. كما أن مجموعة الخدمات الواسعة الموجودة في الفندق لضمان راحتك تترك لك الكثير من الخيارات لقضاء وقتك أثناء فترة إقامتك. إن Skotel Alpine Resort هو مكان مثالي للمسافرين الذين يتطلعون إلى الراحة والاستجمام في المدينة. 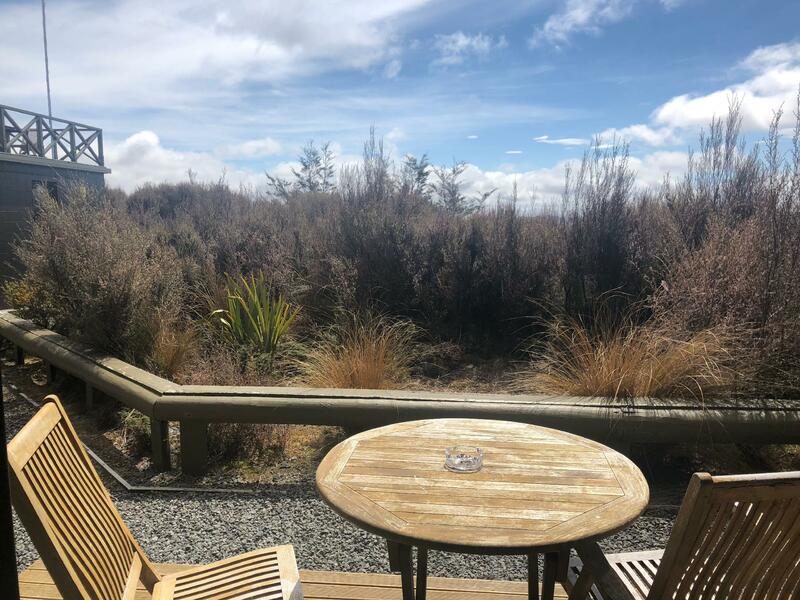 Great view of the mountains, friendly staff and convenient location if one is keen on the trek (both the local and the Tongariro Alpine Crossing). The decor is a typical mountain resort, with few luxuries. Thank you for your lovely review. We also get alot of hikers doing the Northern Circuit, this seems to be a popular start & return to point as guests can safely leave their cars with us until their return. More hit than miss, the location is perfect at bottom of the mountain, the staff were really nice all over the hotel, the sauna was amazing. The gym did the job, kids liked the games room which could do with a few more. The rooms were ok but a bit tired, under beds had not bee hovered and was dirty, bed covers and mattresses were pretty old and bobbly which is not ideal. The sauna and hot pool were great and clean however the adjoining toilet is in desperate need of a refurbishment. If this hotel had a paint and fresh bedding it would be perfect. There are many tracks around this area. 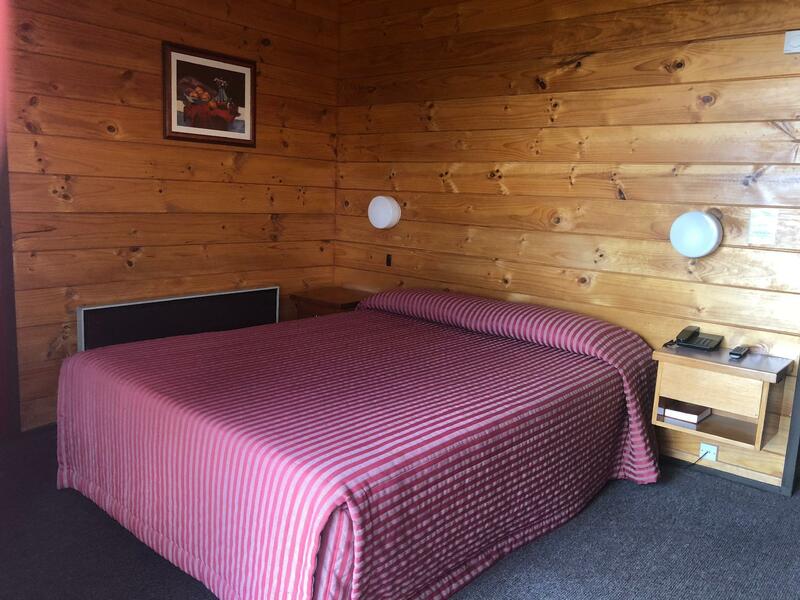 You can go to the short one by yourself or book the Tongariro crossing at the front desk. The workers there are very friendly to help you with everything. The bar area has great views of the wide outside natural. Dispute the bad weather the staff provided amazing hospitality and service. Located in an amazing location next to the park's trails to the waterfalls. The best value for your money even for one night. Thank you for your lovely review, we are glad you enjoyed your time here despite the ever changing mountain weather. Was amazed when we walked into our room and looked out the ranch slider to see a perfect clear view of Mt. Tongariro. If nothing else went well, that view was worth it. Not all rooms have that view so i was lucky. The room was clean and tidy. Decor was dated but that's not an issue for me. You can hear your neighbours pretty well though so may not be suited for young kids that can't go to sleep by 10pm as the whole place goes silent from then. The whole hotel is heated well. Restaurant food was awesomely delicious and the location of this hotel to the whakapapa ski field was so easy. Am definitely returning next year when winter hits again. Thank you, yes our view rooms offer exactly that, spectacular views. We are glad you enjoyed your stay & that you will be back to visit again. 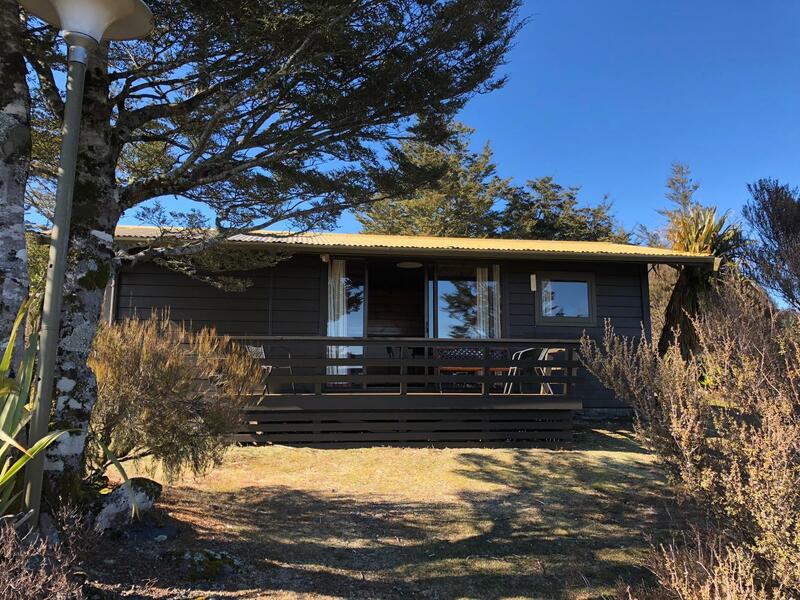 Great location with stunning views of both Ruapehu and Ngarahoe. The building itself is a little past its best but when you are in such a stunning spot you can look past it. Staff had just taken over the running of the place the week we stayed and were doing a great job. All you can eat pancakes were a winner for the kids. We are glad you enjoyed this great location. We love to see the kids delight in watching the pancakes being made. To begin the Tongariro Northern Circuit, it's the best place, you are just at one entrance. Bathroom are clean, shower is heated. Our room was great and cosy, we loved it. Kitchen is quite convenient. Staff is helpful. Poor wifi, only 30 minutes of one time use, but you are not here for internet. I enjoyed my stay here. It is a great place to stay and explore the nearby walks. The beds were very comfortable. The restaurant has a decent selection at a reasonable price. I don't mind paying for internet but I did not like the expense for such a short time limit. Love the location as it is at the Whakapapa Village Center. There are many short walking tracks around the national park nearby. The Resort has a great view for Volcano peak and Mt. Ruapehu. The restaurant is also has great service and taste good. Please be noted that booking is essential for dinner. We stayed in a 3 bed dorm room and had no complaints. Rooms are decent standard with good heating but nothing special. Restaurant served tasty food though which was great after a day on the slopes! 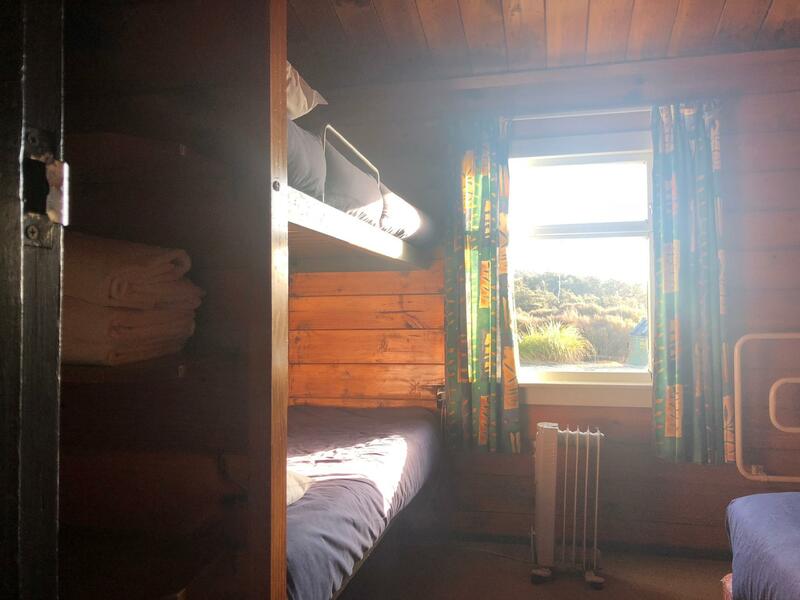 Location is great too as it's just before Whakapapa Village - very easy access to the mountain and they even offer a shuttle for those without their own car. Definitely recommend for somewhere cheap to stay for easy access to the mountain. 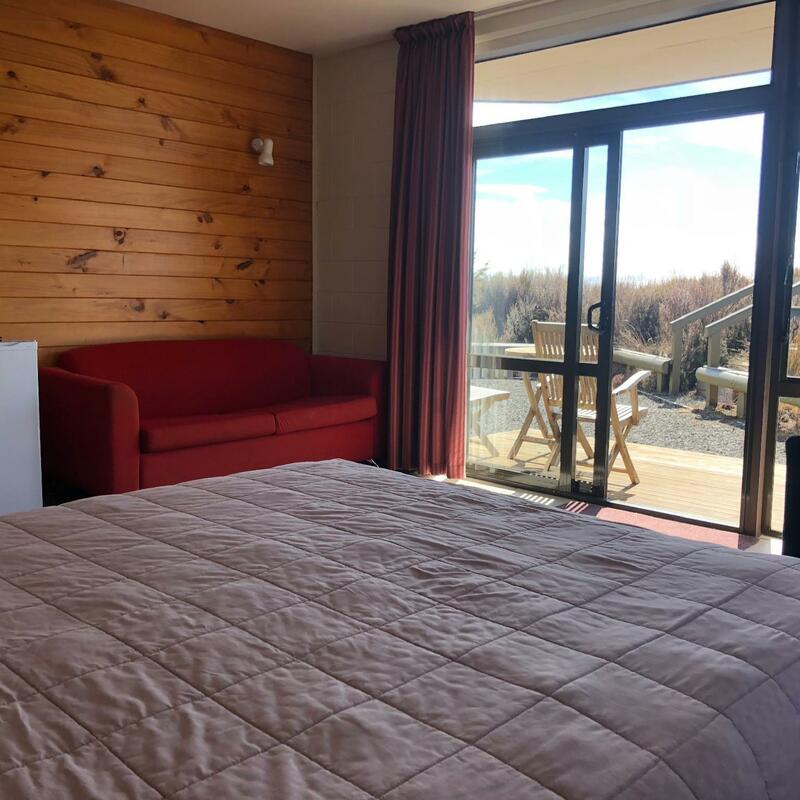 It was an enjoyable stay in the resort as it is near to the track, i enjoy hiking in the Tongariro Park, if i can stay 2-3 days, i would definitely challenge the Tongariro Northen Circuit and the resort provide shuttle bus to the starting point. I think the only problem is ... the room is really small. Except this, others are fine. Great Location and friendly staff especially the bar staff, the reason for the two on facilities is the spa was closed and the games room there was no effort made at all in creating or providing a games room. Would have been great for the kids but this room needs much attention. Dirty Old and derelict. Old broken games machine on the floor, exposed power and no love at all. This place has a wonderful location and the views are amazing. But the love is misssing. It‘s a pretty old / dated place, in need of some freshing up. It feels cold. Some nice touches here and there would already make it more homey. The location is great with superb view of the volcanoes and easy access to walking tracks. Service is good and restaurant not bad. However the facilities need à refurbishing and the cleanliness is average. Heating is not sufficient in the cabin we were, very cold in the morning even if we were in late spring (December). Kitchen utensils need replacement. Bathroom needs renovation. This could be a fantastic place with some upgrade. We travelled with our sister in law, 6 month old baby and 3 1/2 year old son so wasn’t sure what to expect. The perfect location for a long weekend of skiing. The weather wasn’t great but we loved our stay and the location was perfect for us. We could drive up the mountain, come back easily when we wanted and it didn’t matter if half our party stayed up they could easily get back down to the skotel cabin. 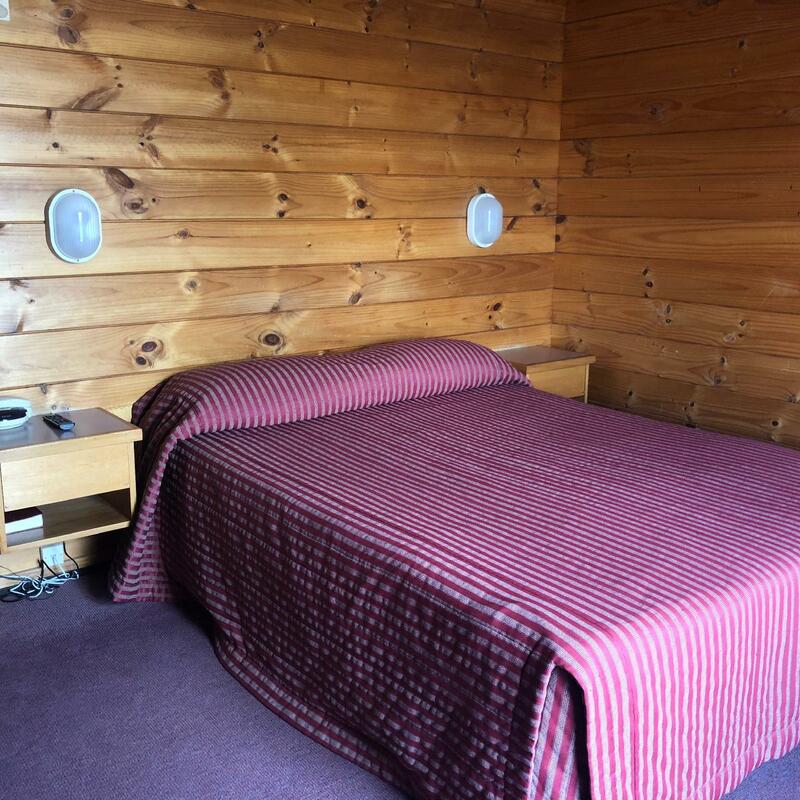 Perfectly clean and cosy with comfy beds and a large fridge/freezer and well equipped kitchen. The shower was super hot and even a little heater in the bathroom for when you got out. The views from the deck were gorgeous of mt ngarahoe and the Tongariro National Park. We got to rug up and sip champagne watching the sunset while our kids slept in the cosy cabin. We will definitely be booking a few weekends here next season! Location, rooms, facilities very good. Friendly staff, very efficient in responding to any requests. Internet should be provided in public areas, I. E restaurant bar. The daily allowance in the rooms for internet should be more, it was too little. Only 30 min or 100mb, very poor. Love the location. Staff were really friendly. Dinner at the lodge was okay. Chalet was really lovely; however, it was really cold. They did bring us down an extra heater when we alerted them to the situation (apparently it was a problem with many others too). 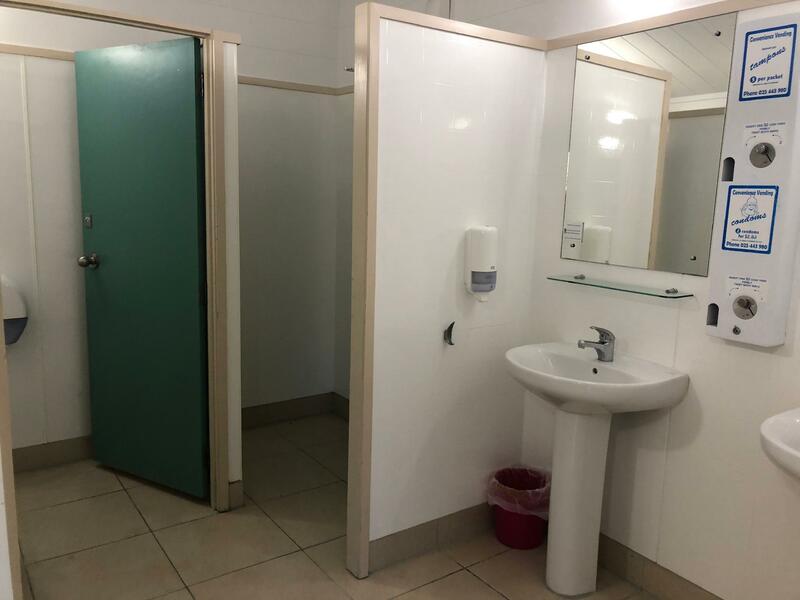 That's the only reason I didn't give them an "Excellent" for Facilities. Otherwise, it was a charming, delightful place in a lovely location. Can't say enough nice things about every staff person we interacgted with (Hannah at the Front Desk was delightful). Would stay here again if we were in the area. 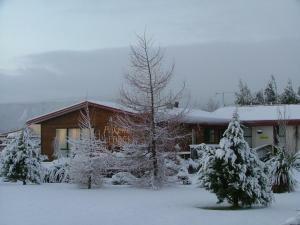 Great location in Whakapapa near hikes and Roam transport. Book directly through Roam and they will refund you if they cancel. Skotel was rather stingy with the wi-if, only offered 30 min free for 2 adults staying 2 nights, you pay if you want more. We loved our chalet! It had a great view of Mt. Ngauruhoe and everything we needed to make a home away from home. We enjoyed our meals each evening in the restaurant and the spa was the perfect way to end our morning of hiking.